Whether you are just starting out on your journey to living off the grid or are a determined veteran, there is nothing better than growing your own food. There are a lot of vegetable choices for your garden, but if you want to ensure success, try planting these easy to grow vegetables and you’ll be on your way to sustainable living and freeing yourself from the binds of high-priced grocery bills. These delicious and healthy vegetables may be the easiest to grow. They love direct sunlight and require a lot of water, so make sure the soil around them is constantly moist. Want a step by step guide? Here’s a good resource for growing zucchini in pots. Who doesn’t love green beans? There are plenty of different type of beans, but if you are looking for something easy stick to the “broad beans”. You can also try “bush beans” as they produce a lot more; then again, they are more difficult to manage. Here’s a good, step-by-step guide for growing your own green beans in a small garden. You should plan for about 10 to 15 green bean plants for each person in your household. Once all risk of frost is away, you can plant your cucumbers in pots and watch them grow. You will want to give them lots of room as they like to spread out. They do hog your garden space, but they are delicious! Your cucumber container garden will need at least 6 to 8 hours of full sun. In my experience, almost everyone overestimates how much sun an area gets, so it pays to really figure out how much direct sun an area gets before you plant there. Either use a sun calculator or get out your watch and time how many hours the sun is hitting an area. Beets grow incredibly quickly, can be planted anywhere and you can get started with planting the second your soil can be worked. Growing beets in pots can be relatively easy to do as well. You can plant beets about two weeks before the last frost for spring growth and plant beets around one month before the first frost for the fall growing season. Plant the beet seeds about an inch deep. If you are growing beet plants for their roots, keep the plants thinned out so they stay healthy and have good root growth (you can eat what you’ve thinned). If you choose to grow the beet plants mainly for their leaves, then you should not thin them out. If you’d like to harvest seeds, you’d do best to allow your beet to be grown as a biennial. This way it will flower after their roots are matured. Radishes are sometimes called “the perfect vegetable for beginners.” If you want to try your hand at with mild radish, plant them in the spring and pick them 3 weeks later. Believe it or not, it is the hot summer soil that gives them the spicy flavor. Planting radishes in pots are, like the above-mentioned vegetables, fairly easy to do. If you’d like to start container gardening with radishes, you’d need a wide gallon pot and the soil needs to be well-drained with rich organic matter within the soil. Using a vegetable starter mix or making your own with compost and/or peat mixed with a small amount of sand or other grit will help with drainage. You can also mix in a fair amount of vegetable fertilizer before planting your radishes to jump start root growth after radish seed germination. Ensure that the pot you choose has a good drainage hole and use unglazed pots that encourage evaporation of excess moisture. If you use a saucer, make sure it is not filled with water constantly. These five vegetables are super easy to grow and will make a nice addition to your garden. Do you recommend other, relatively easy-to-grow vegetables for beginners? Please feel free to comment with your ideas! If you want to start out your journey on off-grid living by growing your own food, here are some of the easy to grow vegetable kits we can recommend that you may like. This kit will help you to easily grow zucchini and green beans. Aside from that, you can also grow other plants such as strawberries and pepper with it. All of the seeds included in this kit are from a licensed seed company, ensuring that you will be able to grow the best quality veggies. It also includes waterproof growing cups, coco pellets, non-GMO seed packets, and a detailed planting instruction. This growing kit is indeed a great and unique gift item and also a fun way to introduce yourself into gardening. 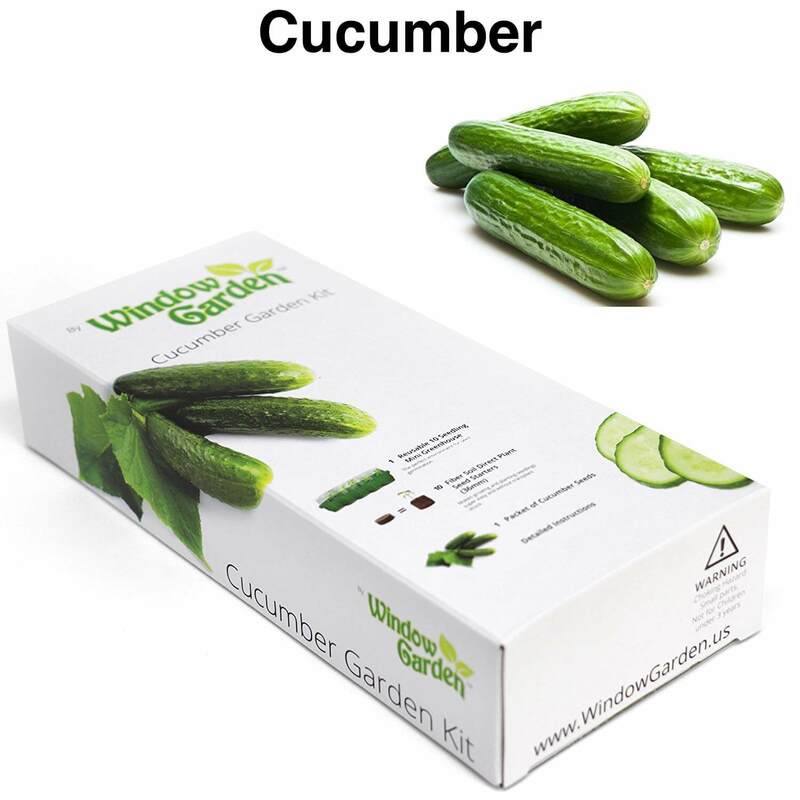 If you want to grow a spectacular cucumber garden, then this starter kit will definitely help you with that. The kit includes cucumber seeds, direct plant seed starters, a detailed growing instruction, and a mini greenhouse that will fit your windowsill. It is easy to use garden kit that is designed for success at any skill level. With this kit, you will be able to harvest fresh cucumbers in no time. 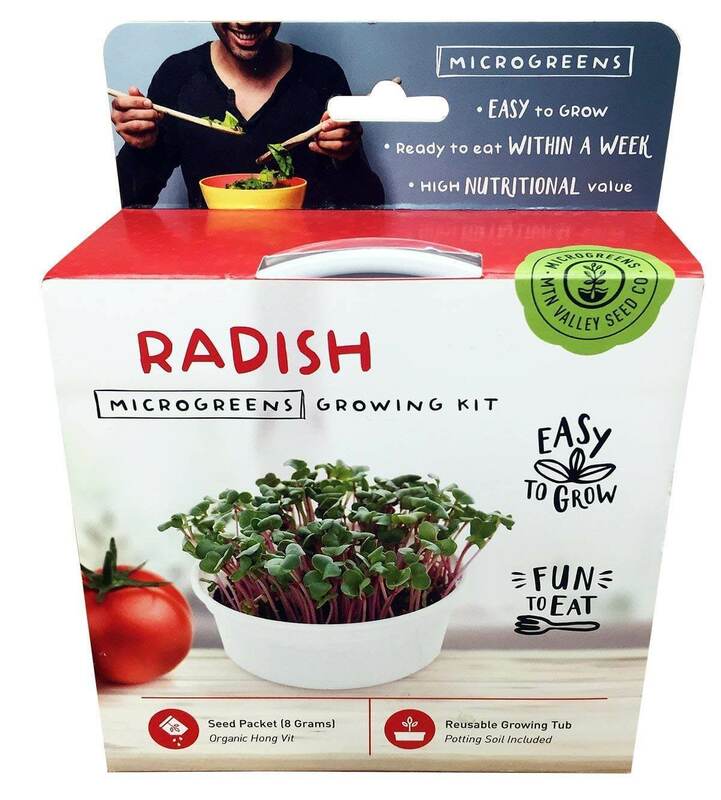 If you’re looking into growing radish on your garden, then this growing kit might be what you need because it contains everything you need to grow radish in just about 10 days. This kit includes a growing container, a humidity lid, pre-fertilized soil puck, organic seeds, mist sprayer, and detailed instructions. With this kit, you will be able to choose to grow radish on your garden or even just on your countertop. It is a perfect and fun way to start growing microgreens at home. Green beans are one of the easiest vegetables to grow and even kids will be able to grow some with this garden kit. It includes high-quality, organic, heirloom, and non-GMO bean seeds, topsoil, peat moss, and fertilizer which are all pre-mixed. You just need to add water to the container and watch your green beans plant grow day by day. With this kit, you can also let your kids help you in creating your vegetable garden. With this kit, you will be able to grow four types of microgreens such as beets, arugula, basil, and chards. They will be ready to eat in just about 10 to 20 days. It includes all the tools you need such as the organic seed packets, biodegradable planting pots, seed starting soil pellets, and plant labels to track your progress. All of the seeds included are high quality, organic, and non-GMO. It also comes with a comprehensive step-by-step guide that is designed for beginner gardeners to ensure that your seeds will grow fast. These are some of the best easy to grow vegetable kits that we found which you may like. We hope the information we shared will help you in creating your own vegetable garden for prepping and survival.